Residential bathroom renovation in Castle Hill with custom oak vanity, back to wall toilet, hob mounted bath taps, gloss black wall tiles with black grout, light coloured floor tile. 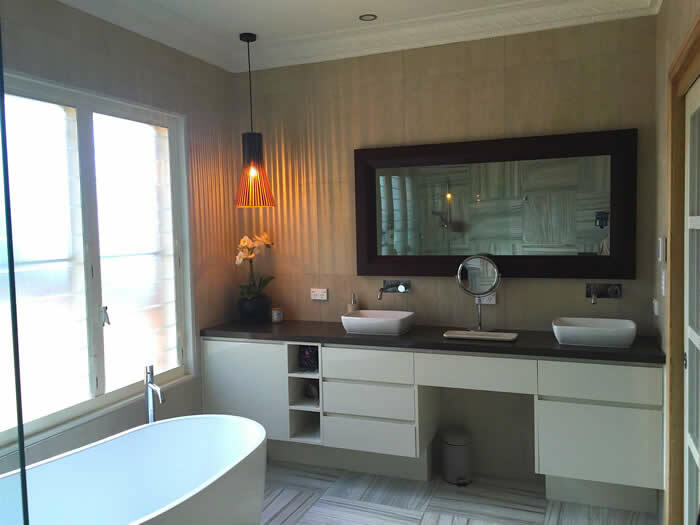 Residential bathroom renovation in West Pennant Hills with custom wall to wall vanity, polyurethane finish, finger groove handles, custom shaving cabinet, frameless shower screen, back to wall toilet, continuing wall tiles – floor through to wall. Residential bathroom renovation in Glenorie with free standing bath, multiple individually fixed heated towel rails, back to wall toilet, wall hung vanity, under floor heating. 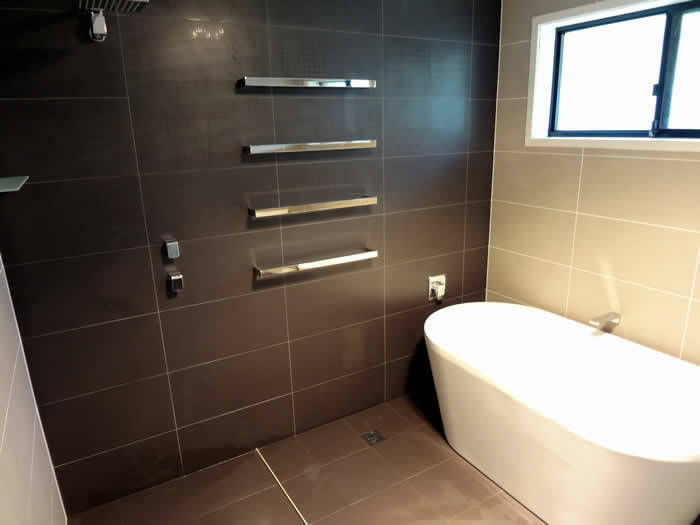 Empire Bathrooms is owned and operated by a licensed builder – Enzo Giallonardo, and a licensed plumber – Michael Carn. With over 25 years of combined industry experience, Empire Bathrooms is the best choice for high quality bathroom and laundry renovations at the right price. 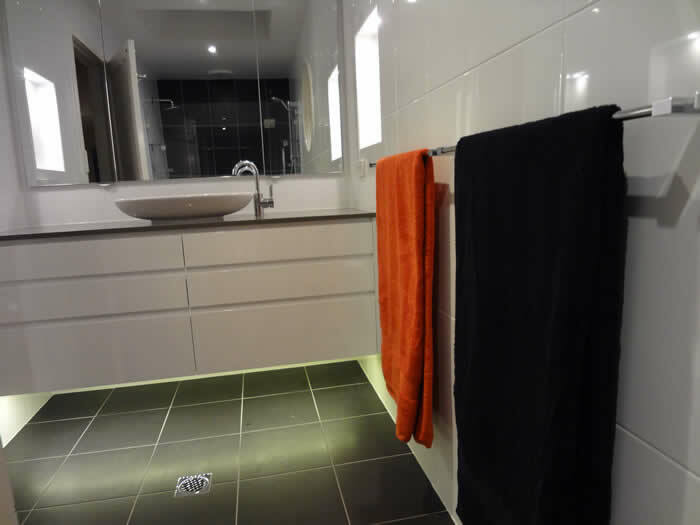 Empire Bathrooms is based in The Hills District, servicing most suburbs in metropolitan Sydney. © Empire Bathrooms Hills District. All Rights Reserved.